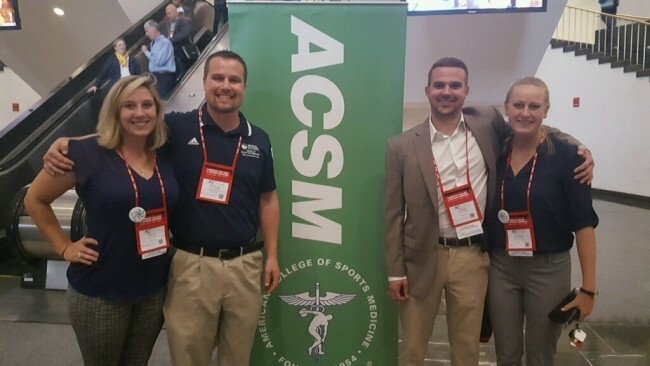 Megan Mormile, left, Nicholas Murray, Ph.D., Nathan D’Amico and Katelyn Grims attended the American College of Sports Medicine annual meeting in Boston. Georgia Southern College of Health and Human Sciences graduate students Megan Mormile, Nathan D’Amico and Katelyn Grimes, along with assistant professor Nicholas Murray, Ph.D., and associate professor Barry Munkasy, Ph.D., in the School of Health and Kinesiology, received the Clinical Biomechanics Award for their research abstract titled Assessment of Gaze Stability Within 24-48 Hours of Post-Concussion during the American College of Sports Medicine (ACSM) Annual Meeting in Boston, Massachusetts. The Award is given annually by the American Society of Biomechanics (ASB) to recognize excellence in biomechanics research, and honors the quality of a given research project, as presented in abstract form. Researchers on the abstract also include Rebecca Reed-Jones, University of Prince Edward Island, and Doug Powell, Campbell University. Additionally, Murray served as an expert panelist during the Meeting, and was a highlighted speaker during the concussion symposium where he and fellow colleagues discussed advances in science and technology. Mormile, D’Amico and Grimes were all awarded travel grants through the FASEB/MARC program to attend and present at the Meeting. 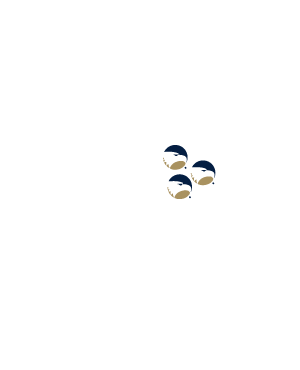 To learn more about the participants, visit the Georgia Southern University School of Health and Kinesiology page.